Choreographer Jonathan Burrows and Adrian Heathfield developed a dialogue around the relationship between writing and dancing. They explored the creative tension between the distinctive affects of embodied actions and spoken words, investigating their different roles in the making and receiving of meaning. They were fascinated by those moments of intensity – unforgettable yet unspeakable – where something of life is disclosed between sense and sensibility. Their creative exchange, realised as part of the Performance Matters research project, was marked by a series of published letters, and finally by a performed dialogue work, holding them in front of you presented at the Performing Idea events at Toynbee Studios in October 2010. 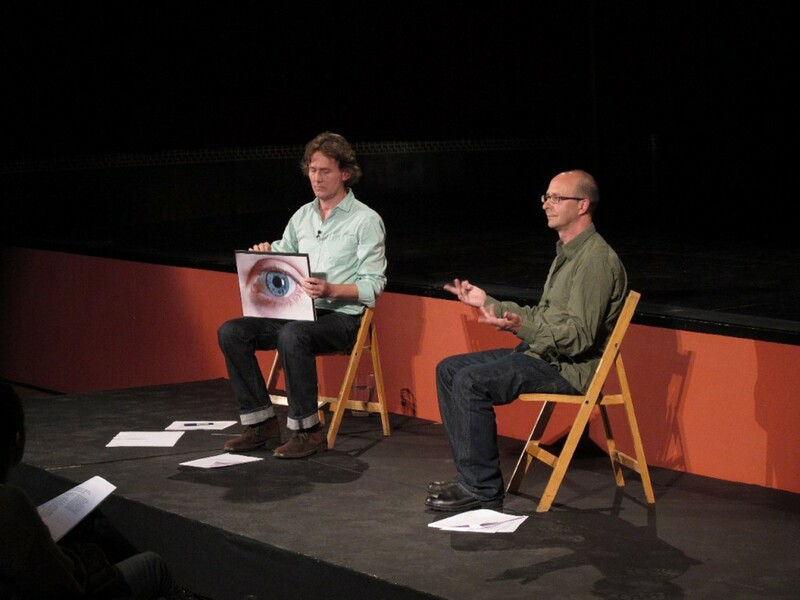 Jonathan Burrows and Adrian Heathfield, holding them in front of you, 2010. Photo: Hugo Glendinning. © the artists.